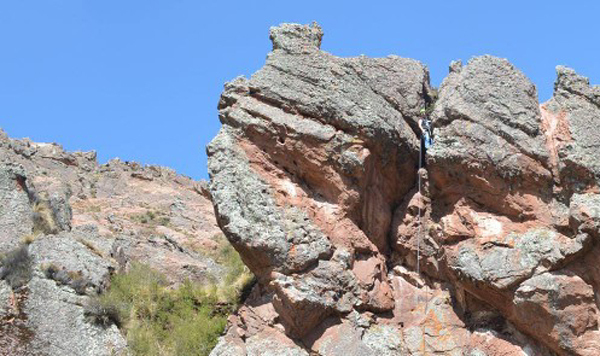 There is now a small developed rock-climbing areas just outside the city of La Paz, up on the altiplano near the town of Peñas. 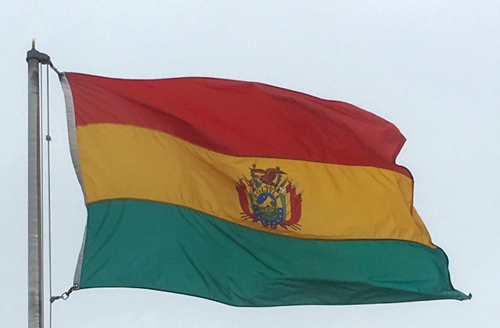 Various sectors have been developed, all within ½ hour of the village of Peñas. There are now about 60 routes at grades from 3 to 6a, with a few harder lines as well. bear in mind, that at 4200m, with only 60% of sea level oxygen, a 6a will feel more like a 6c! 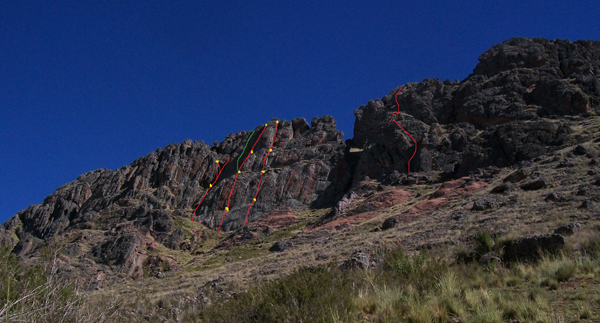 Pictured above is the Aguila rock climbing sector at Penas. Photos on this page thanks to Davide.